As well as it being the 10th anniversary of the Enzed Exotics ‘Kiwano’ brand, the company’s growers say the overall quality of the fruit is some of the best they have ever seen. 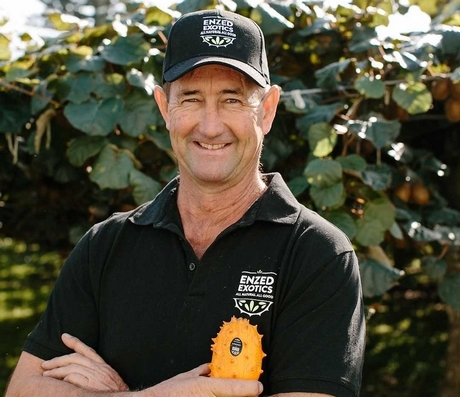 New Zealand’s hot dry summer has been a contributor to exceptional yield and quality in its 2019 Kiwano harvest. Head grower Alan Hutchings has been growing the fruit for more than 30 years and says the colour and flavour is the best he’s seen. 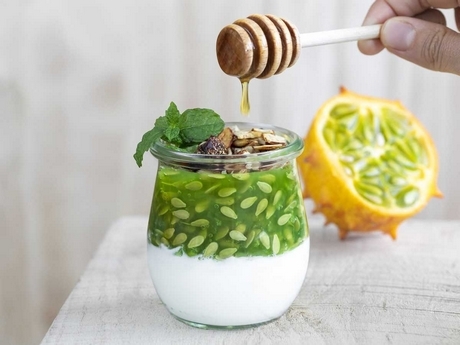 The flavour of Kiwano is described as a refreshing mix of banana, passionfruit and lime. It can be eaten fresh or used in a large variety of drinks, desserts, and savoury dishes. The New Zealand Kiwano season runs from late January to May/June, with fruit shipped by both air and sea freight, and Mr Hutchings said the reject rate was at very low levels this season. Kiwano is grown in the Bay of Plenty region near the coast, which Enzed Exotics say is lush and fertile environment, also known as the ‘Kiwifruit capital of the world’. The company has a long-term commitment to sustainable farming practices and Mr Hutchings said the company decided to create a brand because it was producing a premium product through the way the fruit was sustainably grown and handled. To ensure the benefits of our natural growing environment flow throughout the growing process, the company says it propagate all seedlings from their own seed. This also allows the growers to select the desired characteristics and flavour. CEO Vanessa Hutchings adds the exotic category was benefiting from strong consumer focus on health benefits and wholefood eating. For more updates on what’s BEST IN SEASON, check out the April issue of FMCG Business. Is Costco coming to NZ?